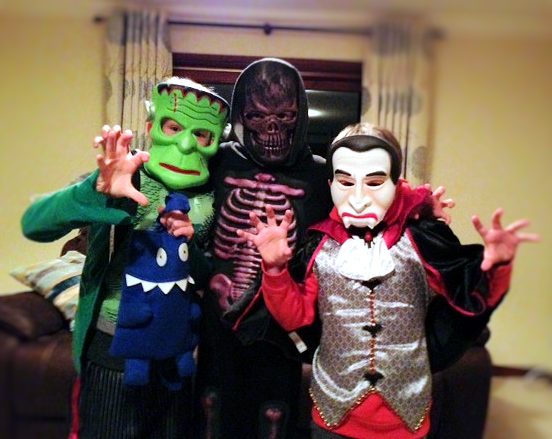 My boys have just realised how close it is to Halloween and I’ve had to promise them that I’ll go and get their pumpkins tomorrow. Mine are just at that in-between age when they really don’t know if they should go out guising (trick or treating) or not. Middler is still going to want to go knocking on doors when he’s about 20, but somehow I’ll have to find a way to get him round a few doors by asking people if they’d mind me still knocking with a fully grown man sized cub. 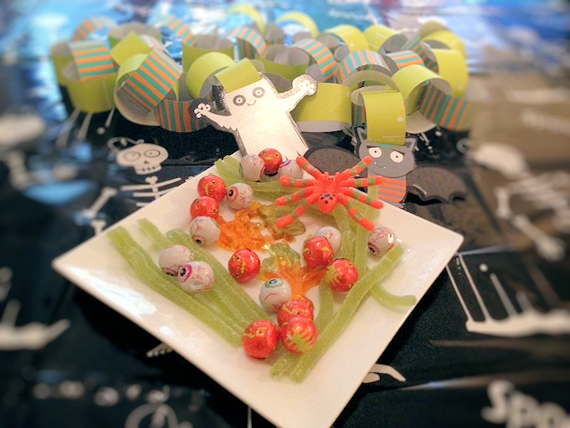 Halloween excitement has taken over since Marks & Spencer sent us some Halloween goodies for the kids to enjoy. They spent a lovely afternoon reminiscing about last year, their costumes and what they’re going to wear this year. We looked out the photograph of last year and they decided to change this year as they were cold in 2012. My boys all got furry onesies earlier this year and are all thinking of going on with those on to keep warm. Up here, to be safe, we only allow our children to knock on the doors of homes that have pumpkins outside. We know those homes are child friendly and indicating they are happy to take part. There’s nothing worse than going to a door of someone who is clearly not prepared, interested or wanting to have their door knocked on. We’ve had fruit shoots to tangerines and lots of sweeties in the past with a couple of novel ideas and little toy treats from some who put a lot of thought into what they’d give out to the kids. 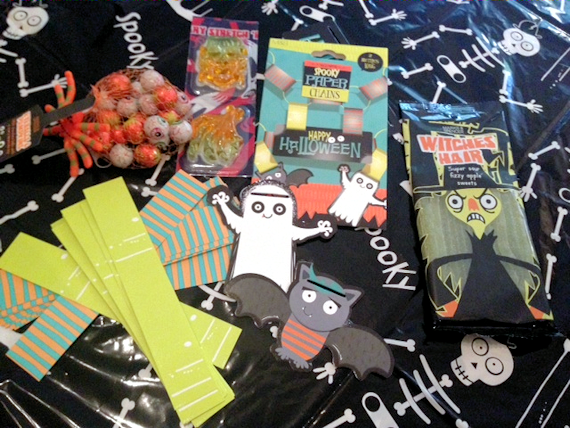 The M&S goodie bag had a fairly large black “Halloweeen Terrifying Table Cover” which fits our kitchen table really well and will be kept ready and waiting for the 31st. 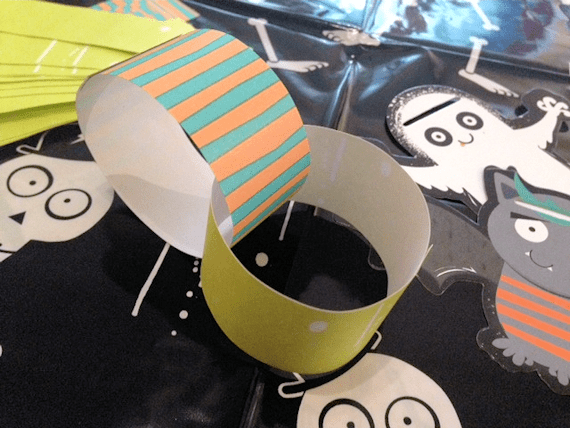 We had the spooky paper chains which were surprisingly easy to make with pull off tabs for adhesive. It kept two kids amused for half an hour to make it in total and now I just have to think of where I am going to hang it for best effect. The sweeties were popular, as sweeties always are. We had witches hair, chocolate eye balls and stretchy sweets that kept the kids amused for ages as they are really sticky and difficult to get out of the package. We’re looking forward to Halloween, pumpkin soup, bags of sugar and lots of laughing. What about you?